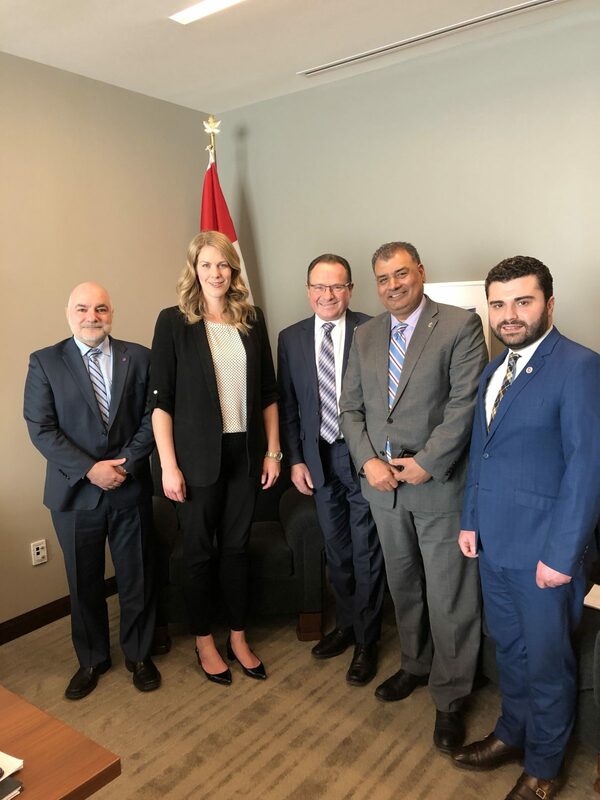 OTTAWA – On Tuesday, March 19th, the inaugural meeting of the “Parliamentary Friends of the People of Artsakh” was held in Ottawa, with the presence of various members of parliament and representatives of the Armenian National Committee of Canada (ANCC). “In the spirit of Canada’s long-standing tradition of peacekeeping, peacemaking and humanitarian assistance, “Parliamentary Friends of the People of Artsakh” will establish a friendship network between the people of Artsakh and concerned Canadian parliamentarians, dedicated to listening compassionately to the Artsakh people’s desire for peace and harmony and to generate awareness of their daily life and the many hardships they continue to endure” read a part of the mission statement published on Wednesday. During the meeting, the group read and ratified the proposed mission statement, discussed the current situation in Artsakh and elected MP Rachael Harder as chair, to lead the group’s activities. “Thank you to the Armenian National Committee of Canada for inviting me to work with them to launch the Parliamentary Friends of the People of Artsakh. I am honoured to accept the role of chair for this important Parliamentary friendship group” said MP Rachael Harder. “I’m excited to work with the Armenian National Committee of Canada and my parliamentary colleagues to promote awareness and education and engage in constructive dialogue as we pursue Canada’s long-standing tradition for peacemaking, peacekeeping, and humanitarian assistance” added MP Harder. “We are extremely pleased and grateful to see that our elected officials are dedicating their time and energy to learn more about the current situation in Artsakh and explore new ways on how to assist and give a voice to those that are often left voiceless” said Vatche Chamlian, chair of the ANCC. “There is absolutely no alternative to the peaceful resolution of the Artsakh conflict and initiatives such as the establishment of this parliamentary group will further enroot that conviction within our public sphere” said Sevag Belian, executive director of the ANCC. “Breaking the international isolation of Artsakh is a key priority to guarantee Artsakh’s safety and security in the region and to ensure that violations do not continue to take place at the expense of the people’s fundamental human rights.” said Chamlian.